by combining elements from them in new ways. your project over at the Doodle Pantry blog in our Doodle Pantry Digital Challenge #42 for a chance at a gift certificate to the store and you will also get free this month's featured set. Isn't this perfect for those Valentine projects? One Stitch at a Time Use a digi I don't own any of their stamps but will definitely go shopping Check out their shop. 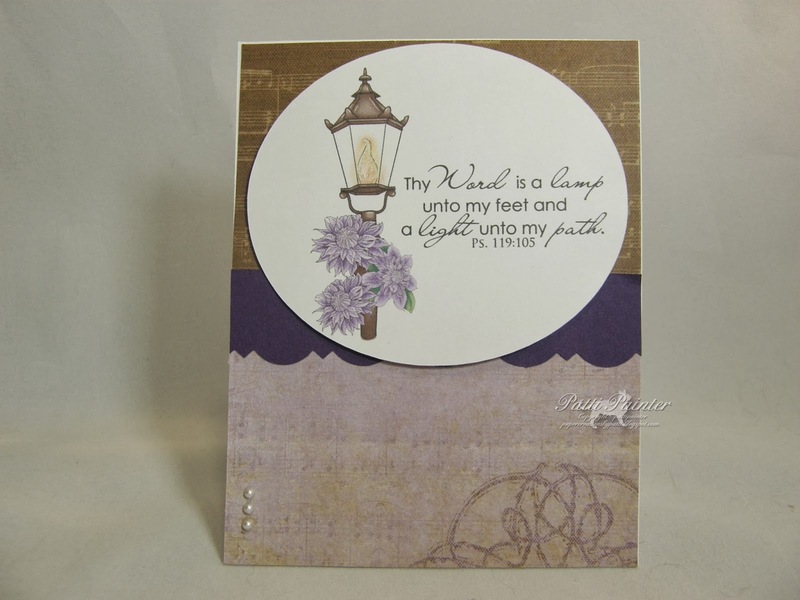 Patti, this card is so beautiful and I love seeing how you have combined 3 different images into the one card with such lovely effect. You've made all the images look as though they were created as one which takes some skill and, I imagine, a lot of patience. Your background papers are so beautiful too ...The upper musical paper sings your important message for all to hear, and the lower paper, unless I need to clean my screen, looks like delicately embroidered linen. The blue joining border adds lovely impact. Wow, I'm excited to see that you are going to visit our shop. We have creators who design in so many different styles that I can foresee the meeting of two wonderful talents. Fantastic card and design, the words are lovely. Another beauty! You are so good with digi design, it just amaze's me. The image compliments the sentiment wonderfully. Thank you for entering OSAAT Ch196 Use A Digi. Really beautiful...love your colors too! Patti, I've just noticed the lovely comment that you left on our challenge blog page and it would be a delight to see you and your beautiful cards in any of our challenges. Our few rules are shown at the top of each challenge. We do love to see how our entrants use images from the 20+ creators represented in our store and those entries are entered into our main prize draw However, if you've created a card using an image from any other talented creator (theres so much talent in the digi image world) then we allow up to 3 entries which are then entered into our Runner's Up draw. Once a month we run an Anything Goes challenge that doesn't require the use of a digi element to the project but we do appreciate the wonderful talents of all paper crafters. I do hope that you will join us in future challenges.